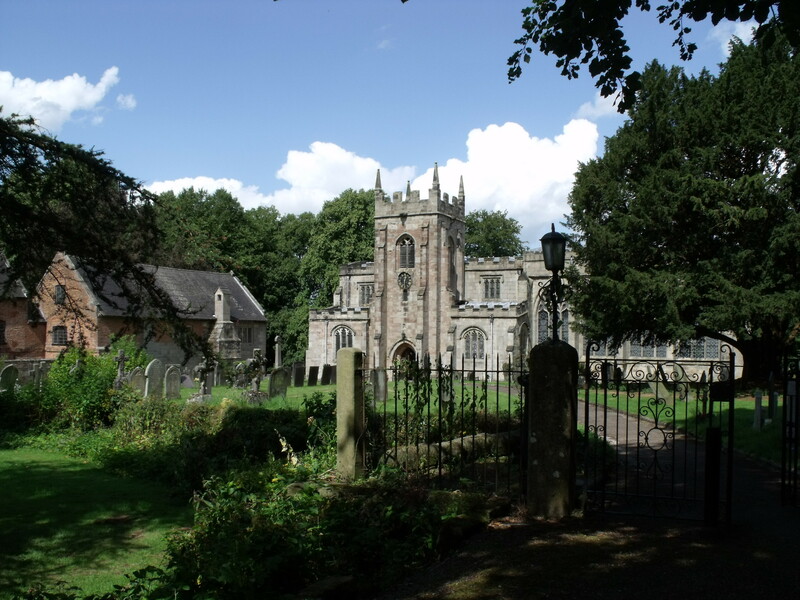 A magnificent church which sits next to The Old Hall, a National Trust property. The sign on the wall outside is a bit confusing as it lists the church and the Hall but the opening times are for the latter.St. Mary and St. Barlock is open every day. It is well worth a visit and is quite stunning, both in it’s setting and it’s interior. There is much that is good for visitors here. 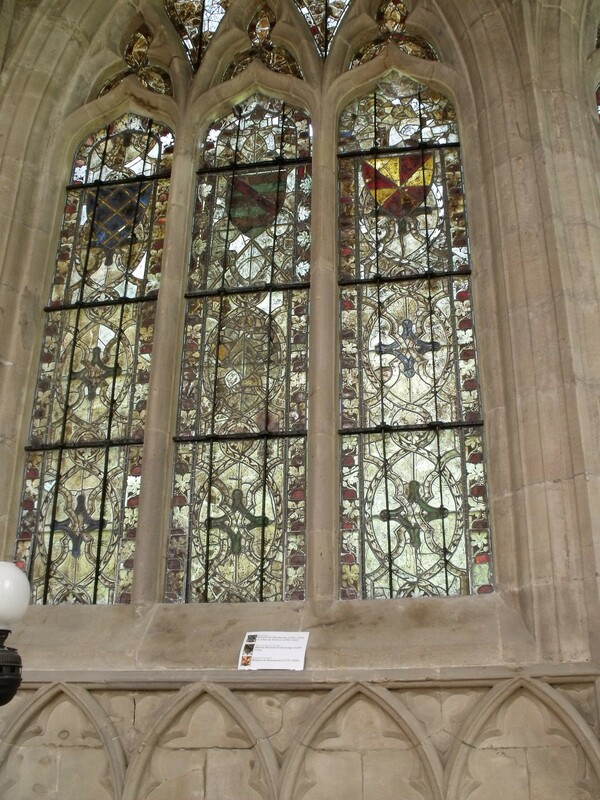 Inside, there are guides and a book on the stunning glass – some of the most important in the country. Also on sale are key rings, post cards, notelets and prayer cards. There are pictures displayed on those being married here – what a wonderful church for a wedding. 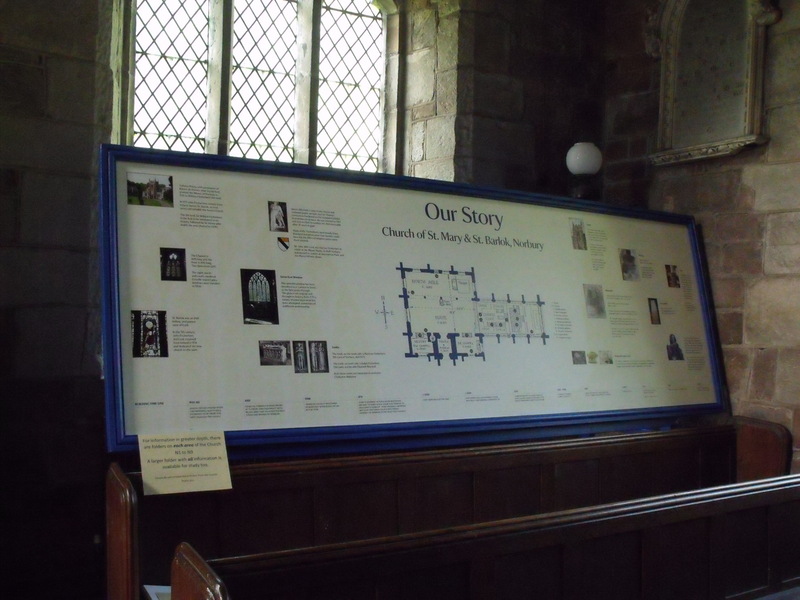 The visitors book showed 29 names for July but many more than this must visit – it is 1000 best churches. Two things caught my eye – an American Book of Common Prayer open on a side altar, as well as an open Bible. The other was an excellent time line outlining the history. There is a book for people to leave prayer requests and, as is usually the case, it is well used. We just have to give people the opportunity…. 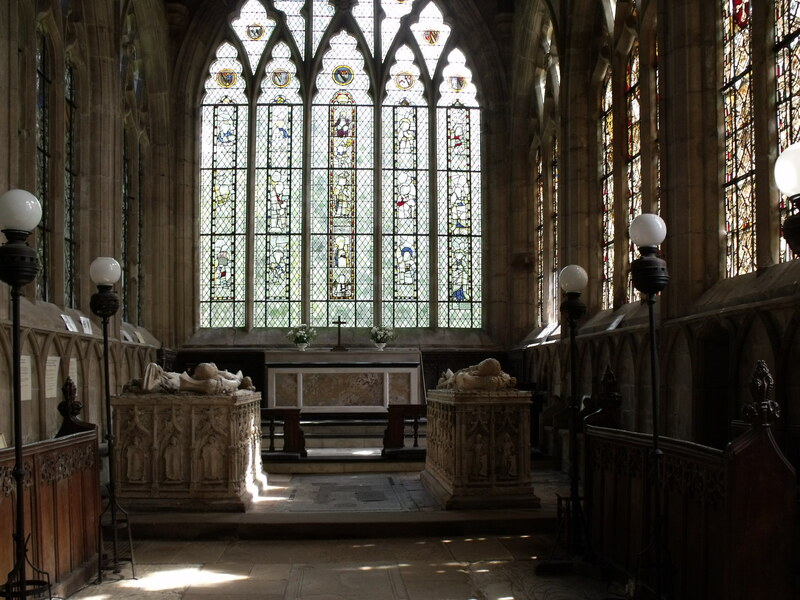 St. Barlock was either a hermit or a bishop, depending on where you look but very little is known of him. I wonder why he is celebrated here? 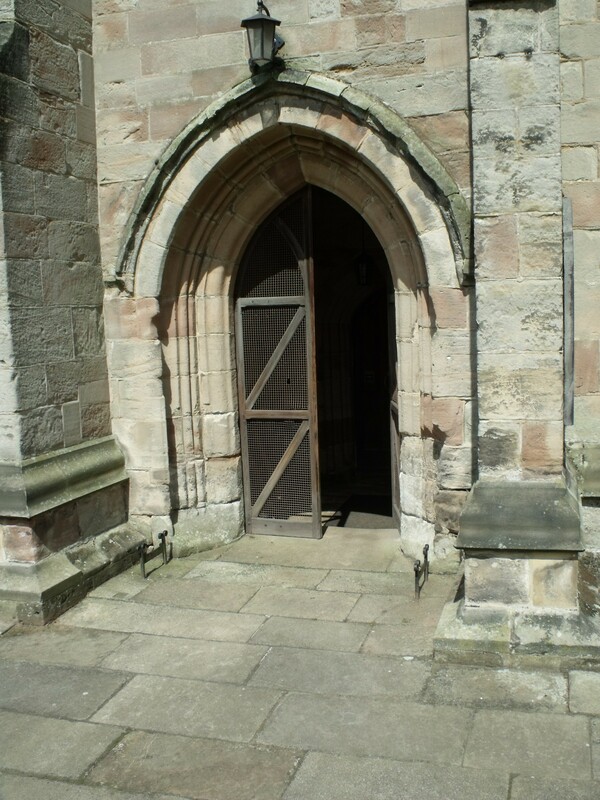 This is a very good church for the visitor and beautifully looked after as most churches in this area seem to be. A must to go and look at!